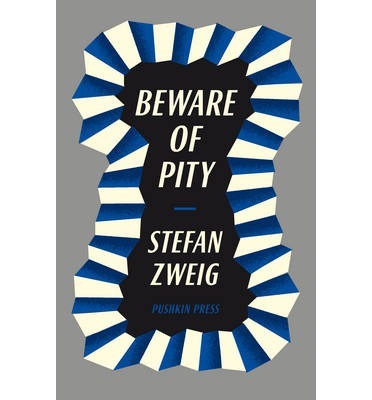 At first glance, Zweig sets out in this his first and only novel to beat up the notion of pity. The issue for Zweig is that pity (which in the book is really weakness) is at the root of all ills in the narrative. Set against the backdrop of the fall of the Habsburg empire the novel pits Lieutenant Toni Hoffmiller against the emotional minefield of a 17 year old girl, crippled by illness, motherless and over-indulged by her millionaire widower father. Starved of love and drifting on the fringes of social acceptance, the girl is not a piteous creature except in as far as her almost psycopathic desire to walk without crutches colours and ruins every aspect of her life. There is a shallow gloss of inevitability to the events of the novel; the girl, Edith von Keksfalva, falls madly, punishingly, in love with the young Lieutenant Hoffmiller who naturally, on account of the girl being unable to walk, cannot consider returning her feelings. Pity is characterised in the novel as the Old Man of the Sea – a djinn in the tales of A Thousand and One Arabian Nights who dupes a young Samaritan into carrying him on his back out of pity before clamping his legs around the young man and making him a beast of burden. This character, pity, is intended to be the motor of the narrative and Hoffmiller is the young man, a slave to this notion ptiy – the guiding djinn by which the narrative is focused, refined, the prism through which the narrative is revealed to the narrator. Pity, the narrator would like us to believe, is the silent voice of truth, recounting the story from a long time distant. Instead, Zweig’s narrator reads, like an old man justifying past ills to his audience, blinded by guilt, explaining the world to future generations in justification: history, as it were, being written by the victor. It is a masterful act of writing by the author, projecting his meaning through the smoke screen of the narrator. What the prism of Hoffmiller’s narrative reveals most clearly, however, is that it is not pity that is to blame for the cacophanous mess that is the ending of this novel. It is the paucity of a system ascribing strength to some and weakness to others on physical appearance. On the one hand, Hoffmiller engages himself to the girl out of pity and then denounces her out of cowardice to his fellow officers; his brothers in arms alongside whom he was expected to fight and perhaps to die. On the other hand, Edith declares her love for Hoffmiller against the dam of social pressure – out of a surge of strength, an outpouring of love, and then she kills herself in a lonely and terrifying leap to the ground. Which is the piteous, which the courageous?